The Weather here in Minnesota had been going down tremendously as the winter approaches. But last sunday miraculously it was sunny and the temperature was about 20C. So I decided to take my long planned hike to a nature trail found here in Eden Prairie(purgatory creek). Long planned but I was not that prepared, I was thinking I might not be able to do this anymore because of the weather and logistics. So hurriedly I logon to google earth and took my directions and note everything I could find, prepared my stuff and began my hike/walk. It took me almost 2 hours just to reach the site, passing by main roads intersections and village houses. There was even a time I went under the bridge to pass the main highway. Upon reaching the place first thing I notice was there are lots of birds, lots of birds means lots of trees. I was expecting a place were there is an establish trail. But to my surprise, its a very thick forrest with lots of tall bushes and grass. It was just like Im doing an exploration of a mountain in the Philippines, theres no clear path and you can easily get lost (kindda like the forrest in Blair Witch movie). As I enter and went deep into the place I got several bruises on my left arm. I usually bend on small paths that can be found on several bushes. I think these are paths of animals that roam here, coz I can see their tracks and droppings on this trail. I was able to see two squirrels eating tree flowers. I also see a Doe, but thinking it was a wolf I was caught by surprise ( I also saw paw prints, maybe from a dog or wolf). The Doe ran and jump so fast I was not able to take a picture of it. I also reach the brook that was all along this trail. Water is clear but the look is not that pretty. Just like a small river in the province in our country. As the sun started to set, I decided to go back. Its a good thing I have my compass watch which help find my way back. Though Im not that fulfilled as I was not able to fully explore the place, my curiosity was quench as how is it to do a Hiking Minnesota. If I may add, arriving home and looking at the pdf file on the website was dated 2005. Hence the change in the place, maybe not to many locals are accesing this place. I went to Initao, Misamis Oriental (capital of misamis is Cagayan de Oro, btw) last weekend to attend a wake. After the interment we still have 2 days left before heading back to manila. After checking our schedule, we noticed that the afternoon of Saturday was free. We decided to go to the farm and do a little bit of hiking. A series of mountain ranges (not so high) can be seen when you reached the farm. According to our companions this mountain can be climb and had been climbed by the locals. Although no offical exploration has been done and no name was given. Since we still have a few hours left before it gets dark, we decided to climb it. This mountain is similar to Mt. Batulao, less to no trees can be seen. Its a good thing we climbed late in the afternoon plus there is lots of cloud or else its really gonna be like Mt. Batulao which is very very hot during the day. Considering its rarely been climbed, there is no established trail. You have to pass through knee to waist deep cogon grass along the way. The ground is composed of loose soil and small rocks, this made the trek a bit difficult. My watch registered 450 masl upon reaching the summit. We name the summit Lilang's peak ( the name of the deceased). And the mountain ranges Mt. Palong which is the name of the farm. Since the trek up is very steep, going down, our guide brought us to a different trail. Its a bit of a rolling trail but of course is much longer than the way up. It would be much harder to go down the same way we went up, it will really hurt our knees. We reached back at the jump off after more than 2 hours of trekking. Its a bit fast because we are carrying less to almost no load. If Im just living near this place, maybe I could established this mountain as a hiking destination. More like of Mt. Daguldol setup. Guides are mandatory so that the locals will earn a living and since they earn they will protect the mountain. More like a symbiosis between man and nature. There is less impact on the environment and everyone is happy. The ever popular mountain jumpshot. 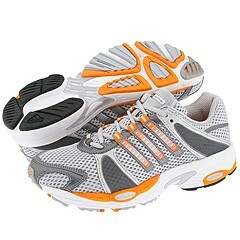 I own a Adidas ClimaCool running shoe that I use whenever I go to the gym and do my occasional running. But since this shoe is more than 2 years old and is on its twilight years, I think it badly needs a replacement. I previously owned a Nike running shoe and since Im not happy with its durability, this brand is out of the picture. My friend who is into running had been suggesting I try a New Balance brand, I had never own one of this so I kept it on my radar. Then came My Mastercard, it gave me a 3K worth of Gift Check in any Adidas outlet. I guess NB is also out of the picture. The question now is what model of Adidas running shoe to buy. After some asking and browsing of the internet, it led me to Adidas Response Cushion 16. I think this model suited me well because of the high arch of my feet and the cushioning will give less impact on my already weak knees. I test run it the other day and Im really impress. Its way way better than my old ClimaCool. Its so light that it seems Im not wearing any on my feet. The cushioning is great. The insole of the shoe also gives good traction on my socks/feet that it gave me better leverage. I guess Im a happy camper. - Mesh body is a bit thin. Will add more review after more of my testing. It had been a while since I had been to makiling. Last July 12, I decided to climb it again and see what are the changes. As a primer, Makiling is situated between Batangas and Laguna province. It stands 1000++ masl (meter above sea level). Mt. Makiling was closed after typhoon Milenyo hit the NCR area, trail became confusing after the storm and there were reports of landslides. 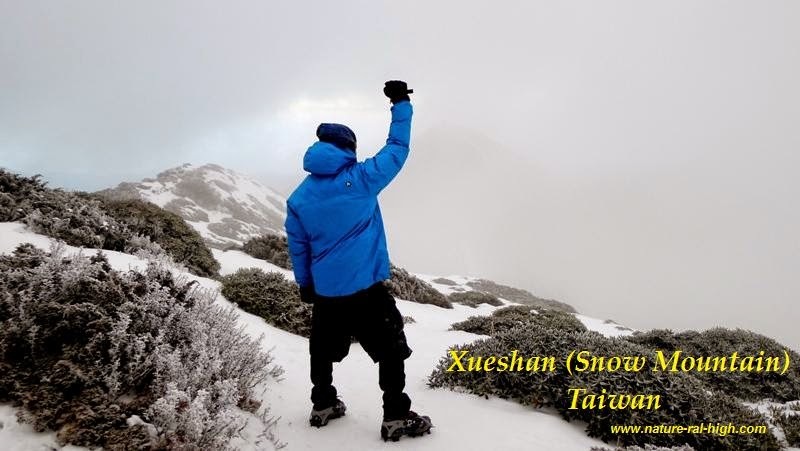 A popular mountaineering website announced it was already opened and thats the reason we decided to climb. Upon registering at the Ranger checkpoint we learned the mountain was still close (bummer). But they are allowing hikers if they will just go up to the mudsprings. We signed up our destination was only upto mudsprings eventhough we had another intention in mind. One thing I've noticed is that the clear path before entering the main forest was now a rough road. I remember it was made of asphalt before. Mudsprings now look like a muddy lake unlike before it was made of several potholes with boiling mud inside. I never thought that Limatik ( a tropical leech) was very abundant during the rainy season in Makiling. There were like 5-10 attacking each one of us at a time. Length was between 1 - 3 inches. Its my first time to encounter this insect and its really horrifying LOL. I think 5 were able to go inside my pants and bit my lower legs, good thing I bought a spray bottle with alcohol. It worked perfectly. Unfortunately we didnt got to summit. We got lost at a part of the trail entering somewhat of a deadend. Since we were only three and all male mistakenly we decided to proceed at this wrong trail. Entering a trees and shrubs covered part of the mountain. When we decided to backtrack we lost more than 1 hour of time. After backtracking we were able to find the right way but since according to my watch there are still 200++ masl remaining, we presumed that night will be on us if we proceeded. And since we dont have any light ( i forgot my headlamp). We decided to backout. Its is still a good experience for me. Seeing limatik for the first time and also knowing the right way now, will be back to conquer makiling. But preferably during summer so that there will be less/none limatiks. It was my second time to climb Mt. Pico de Loro. Other than I couldnt resist an invitation from a friend, i took the chance to bring a fellow hiker, I also remember there were parts of the mountain I hadnt been to. As with most mountains you start at the DENR station and registered there. As we trek along I notice that the vegetation was greener, this maybe due to the reason that its the rainy season. The last time I climb it was nearing summer. The trail was bigger and wider (and of course more beaten) than before, hmmmnn.. maybe its true that mountaineering is now more popular in the PI. To those who havent been to Mt. Pico de Loro, the trek is about 2-3 hours for a fit hiker. The elevation is about 600-700 meters. The trail is rolling, the uphill part is when your nearing the summit, with about 100 meters of assault almost to the top. The last time I've been here we didnt climb the 'parrots beak' as they call it. Its a 100 foot rock located on the summit. To climb it you need to go to the side of the rock and use the stationed ropes. The funny thing is its only tied to a small tree (like a bonsai tree), youll only notice this whe your already on top. The good thing is it can hold he he. BTW, Pico de Loro is a DENR protected site. Going down we decide to pass by the waterfalls. The waterfalls here is more like a creek, not like the one we usually see on pictures. Water is abundant only when it rained, and the water is not crystal clear. Since its not a secret in our office that I frequent mountains, I decided to organize a fun climb to mt. gulugod baboy in Anilao Batangas. The group is composed of newbies to beginner hikers. This is the first time that I will officialy be an EL (expedition lead). On the early parts of planning sixteen showed interest in the climb, on the day itself only half were actually joining. We left the bus station in buendia lrt a bit late, we should be boarding our bus at 6:30AM, but for some circumtances that the cause is not our own we were delayed ( its a long story to tell). We arrived at diversion road of Batangas city at around 11:00am, its a good thing that after SLEX there is no/less traffic, even with the delay we are still on schedule. We took a jeep to mabini town proper and ate our lunch there. We decided to chartered the same jeep to philpan in anilao. This is the jump off. The time is 12:30 and the sun is shining very hot at the jump off, its also very humid. After some preparations and last minute instructions we proceeded with our trek. Some of us had a hard time on the early parts of the trek, since the area is near the sea (anilao is a dive resort) the humidity has taken a big toll on the climbing condition. One of our companion even experience dizzyness, we just gave him some first aid and lessen his load. We distribute it to the rest of the group who are willing (his load is very heavy btw, another long story). We met some Loyala mountaineers along the way, there is also a place in the middle of the trek that servers halo-halo. Very resheshing. At around 4:00PM we arrived at the campsite/summit. Its quite fast actually, I budgeted four hours for hour trek just to make sure but we arrived one hour early. To describe the summit, you will have a 360 degrees view of Batangas. The seas are everywhere and you can also have a view of Sepok and sumbrero island. The hill beside the summit is like the windows XP wallpaper, but my othere officemate said is more like a tellitubbies intro mtv. After some rest and time spending at the summit, we set camp and started cooking. I under estimated the winds here, even though Im using a windscreen on my stove somehow the wind is still able to penetrate. This made our cooking a bit difficult. Worst my companion brought stainless pots and this is a no-no since stainless is less conductor of heat which will make the heat not to reach the top of the pot. And halfway to his cooking he ran out of gas. But I do not blame him, he just borrowed it from a friend. Luckily my cookset was able to cook our rice for dinner and only half of the fuel is consumed. For our viand we brought pre-cooked adobo which only needs less heating. Temperature on my watch is just 23C, but wind is making it colder. Very nice to drink brandy when it very cold hehehe. After our socials we slept, the time is around 11pm. We woke up very early to see sunrise. But fog is everywhere (which lasted up to 10am). My fuel barely made it to cook our breakfast, thanks to good budgeting. After eating and resting and enjoying the mountain for a while we break camp, we took our last pictures of the summit and headed down. On our way we met some newbies going up being guided by beginner trekkers(my guess). Going down is much much easier but humidity is greater than yesterday. We arrived around 12pm, our plan is to go to Sepok island after our dinner. We made arrangements to hire a boat. While were eating is starter to rain very hard, I could only hope the people we met were ready for this. If not all of their things specially electronic device will be broken. As rain continue to pour, we decided to cancel our boat ride to the island. Safety is always first, there is always a next time anyway. The same jeepney we chartered yesterday will be the one to bring us back to the bus station, its a good thing I took his number yesterday. We arrived at the bus station at around 4PM and then headed back to manila. As I leave my house last thursday. I said to myself, "This is it. Im on my way to the mountain I had been longing to climb for so many years". There are so many things running into my mind. Will I be OK? Is it gonna be frezzing on the summit? Is it gonna rain? etc. etc. I was having butterflies in my stomach, this usually happens to me everytime I climb a major mountain. Our trail is by Akiki-Ambangeg. We are took the Victory Liner in Pasay going to Baguio. We met at around 10PM, our bus left at 01:00AM the next day. We arrived in Baguio 7:30AM. From there we took a taxi going to the place called "Slaughter House". From here we had our breakfast and then waited for the bus (ordinary and mini) going to Kabayan, our jumpoff. My friend (our EL) told me its a good thing theres only a few passengers waiting since normally its crowded. He said there was a time when he stood for 3 hours in the bus due to large quantity of passengers! I saw two groups of foreigners going to Kabayan too (brits and israelis), btw, Kabayan is a place where there are century old mummies much like in Sagada. He said If I could persuade these foreigners to hire a jeep much better because there will be less competition on the bus. So I did my thing and I was able to make the groups of Brits hire an FX, much like a win-win situation. hehehe. When the bus arrived at around 10am our group was able to be seated. According to our EL there are only one or two bus trips going to kabayan a day depending on the season. By 11:30am we passed by Ambuklao dam. My friend was able to chat to his seatmate (we were three on the seat) I overheard him conversing in English. It was an old lady who is a retired teacher, she said she knows English but not Tagalog. She said she learned to speak English because there were American missionaries when she was just a kid. We arrived at our jumpoff at around 4:30 am (1230 masl). Before proceeding, we log our names in the DENR station here. The trail was rolling and there were lots of pine trees. Beautiful scenery indeed. At around 6:00pm we arrived at our first camp, its a camp beside Edet river. After setting our tents. We had our dinner. The temperature is 18C degrees according to my watch, but is much colder early in the morning (16C). The height here in Edet is 1230 masl. The weather was good, the sky was clear and the moon shine on us. We can even see stars. So far so good. Our wake up call is 4:00am. After preparing, we left at 7:00am. We passed by a bridged. the trail was continous assault, my guess is that its 45-60 degrees inclination. Now I know why they called it the "killer trail". Seeing the view, the difficulty is very much worth it. Words cannot explain how beautiful the sceneries that we passed by. Lots of pine trees, Wild flower covered ground and there were occasional birds. We had our lunch in marlboro country ( a place were there are domesticated cows that are roaming freely). The height here is 2085 masl. After lunch the weather worsened and there is an indication is gonna rain, and it did. There is now zero visibility. We passed by mossy forest and was able to take only one picture. We reach the grasslands were there are bonsai bamboo plants. The area was open but the surrounding was still foggy. If there were visibility and no rain Im sure the view is breathtaking. We arrived at our campsite at around 6:30pm at 2700masl. It was raining and the temperature was freezing (10C). The inside of our tent was a bit wet because we set it up while its raining. We took our dinner and went to sleep hoping that there will be clearing the next day, as what usually happens after the rain in the mountain. My guess is that early in the morning, the temperature reached 6C deg. We woke up early, but sadly there was still rain. We decided not to assault going to the summit since there were no visibility. We were not able to see the famed Pulag sunrise and the sea of clouds. Worsed is, I had stomach problems. After taking some medicine I had to make a decision, do I take breakfast and have problems on the trail (breakfast was cornedbeef)? Or just take a few spoonfull of rice and risk having low energy on the trail? I decided to take the latter. We break camp raining and left at around 9:30am. Since we havent summitted, we took the trail that will pass by the summit. We reach the summit at around 10:30am, it registered 2870masl on my watch. After frustratingly staying for a while we decided to leave. The trail going down is just like passing by several hills or somehing like small mountains (as with all the terrain in the mountain provinces), the trail was on the side of the hills. Whenever we are on the side where the wind is blowing (windchill), when the wind hit my face and body its very very cold. The trail was also muddy and trampled. We learned later that a group also decided to climb via amabngeg route only (100 total!) and went down ahead of us. This explained the trampled muddy trail. After an hour my face is feeling numb due to coldness and rain. My feet and hand is also feeling numb. While waiting for our groupmates which is on our tail I decided to sit down and to rest. After a while I felt sleepiness getting into my head. It was a very good feeling. I decided to fight it over because I remember this is the start of Hypothermia sinking in. we continued our trek and arrived at a stopver (camp2) to have our lunch at around 12:30pm. At last, my stomach is now feeling well and I can eat well. I felt so weak and need to reload. After eating we continued for our last leg of walking. We arrived at the ranger station at around 5:30pm, we had a reservation at a cabin. We'll stay here for the night. After cleaning up and my friend prepared carbonara for dinner =). The cabin has a fireplace, We had our post climb and our last socialization. We woke up early again, had our breakfast and prepared our self to leave for Baguio. The weather is good now. No sign of rain, Im sure there is clearing on the summit (bummer). Our transpo is a hired jeep. We left at around 8:00am, arrived in Baguio at 2:30pm. Two hours early from our reservation (we tickets after arriving last thursday). We had 2 hours to roam around and see what was left of Panagbenga festival. At exacly 4:30 pm we left for manila.